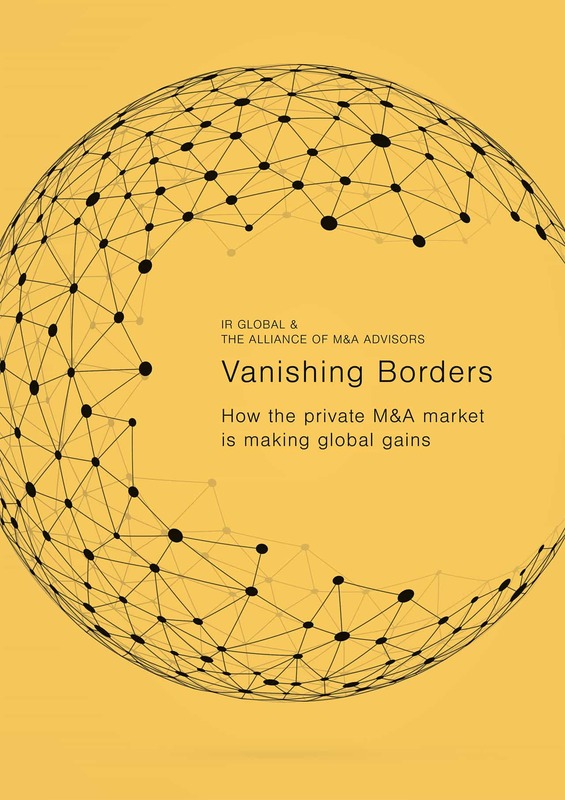 Nicholas V. Chen was featured in a report titled “Vanishing Borders: How the Private M&A Market is Making Global Gains”, published by IR Global and the Alliance of M&A Advisors. Private mid-market businesses are embracing globalisation and looking beyond traditional markets for new revenues. But how is that activity likely to play out over the next 12 months? What challenges does this present to advisors and how are their roles changing? Winning new business will increasingly depend on an advisor’s ability to handle complex cross-border instructions and to find competent partners and specialists in a range of jurisdictions that they, themselves, are unfamiliar with. But how best to rise to that challenge? Sourcing new deals in a competitive environment is an ever-present problem for advisors. Forecasting which jurisdictions will see the most deal activity allows smart professionals to focus resources accordingly. It also means paying attention to identifying factors, such as the availability of debt, that are likely to reduce or enhance deal activity. The process of physically completing a deal can be fraught with difficulties for both advisor and client. This is made even harder given the added complexities inherent in a cross-border deal, as cultural differences, unusual regulations or currency fluctuations can derail it any time. The buzzword to pass on to clients is preparation. Mid-market clients could be mistaken for believing they need a large multinational advisor to help them complete a cross-border deal. Often that’s down to fear of the unknown. It’s the job of an independent advisor to persuade them differently. Here’s the sales pitch.